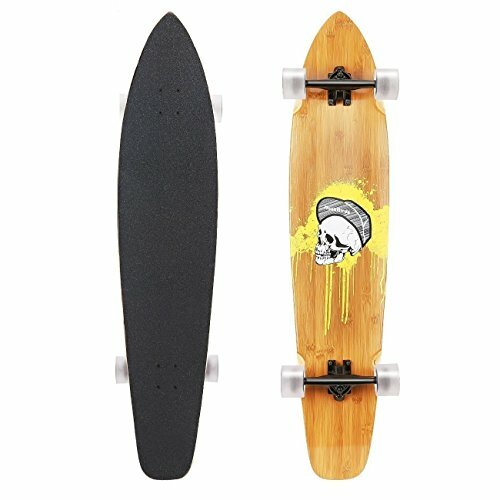 Our 44\" Longboard is the perfect size constructed in 6 layer Hardwood Maple and 1 layer beautiful artisan bamboo deck shaped to perform. High density emery non-slip and waterproof surface makes you more safe during riding on the skateboard. Durable 70x51mm 78A PE wheels work with ABEC-7 precision bearings, letting you enjoy an unsurpassed smooth ride.